Latin American Humanities is a two-semester course sequence that provides a rigorous introduction to Latin American literature and culture. It is part of Columbia College’s core curriculum and fulfills its major cultures requirement. Representative works of Latin American literature, history, anthropology and art are read and discussed in class. The course explores the great themes and preoccupations that have helped shape Latin America from the 15th century to today. Latin American Humanities I, taught in the fall, begins in the late fifteenth century, when Portuguese and Spanish sailors were sailing both West and South in an effort to find trade routes to India, and ends with the late nineteenth-century literary movement of modernismo. Some of the topics discussed in class are conquest and colonialism, writing as a tool of empire and resistance, authorship and authority, mestizo discourses, the colonial baroque, slavery, the discourses of national foundation, and the idea of a peripheral modernity in Latin America. 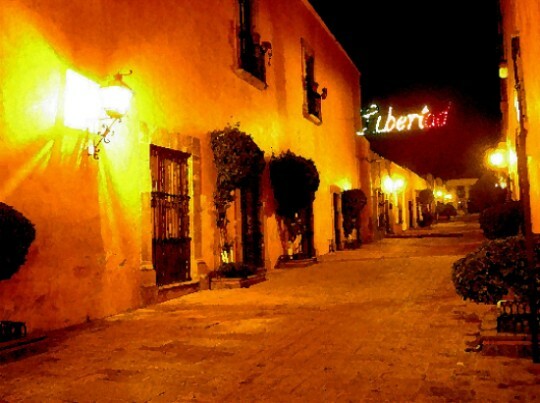 Fading liberty in Querétaro, Mexico. Photo by Francisco Mari. Latin American Humanities II, offered in the spring, runs from the 1880s to today and covers modern Latin American cultures and literatures after the foundational period of nation formation. The overarching concern will be to see how notions of Latin American culture were negotiated at certain historical turning points by different agents such as writers, artists, and politicians. Among the themes and topics examined will be positivism and cosmopolitanism, the close and contentious relationship between art and political engagement during the Mexican and the Cuban Revolution, the Boom of Latin American literature in the 1960s, and the military dictatorships of the 1970s. We end by considering challenges to gender and migration in the late twentieth century. LAH I and LAH II can be taken sequentially or by themselves. For a comprehensive overview of the material we recommend the full two-semester sequence. 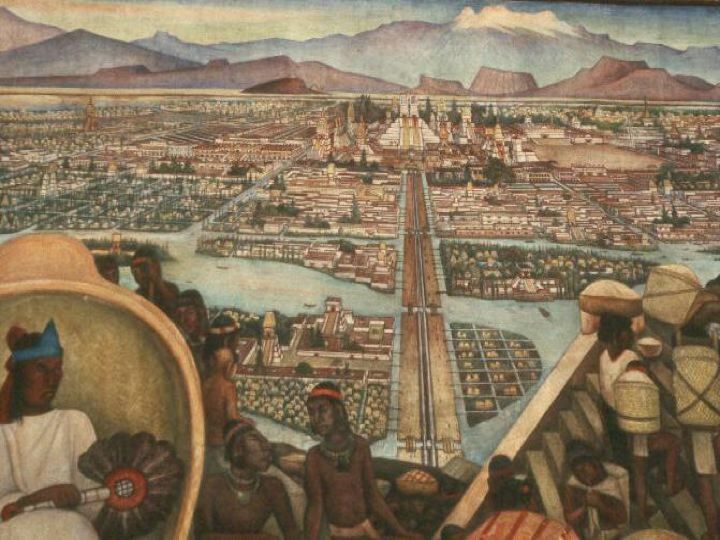 Diego Rivera, The great city of Tenochtitlán. National Palace, Mexico. 1925-35. Jews, Muslims and Christians in Spain at the time of the Catholic Kings. The Portuguese trading empire. Civilizations of Mesoamerica. Writing systems. The city of Tenochtitlán. First encounters between Europeans and Americans. Christopher Columbus, “Letter to Santangel”; “Third Voyage”. Letter of Pedro Vaz de Caminha to King Manuel of Portugal. II. Perspectives on the Conquest of Mexico (Sessions 4-7). 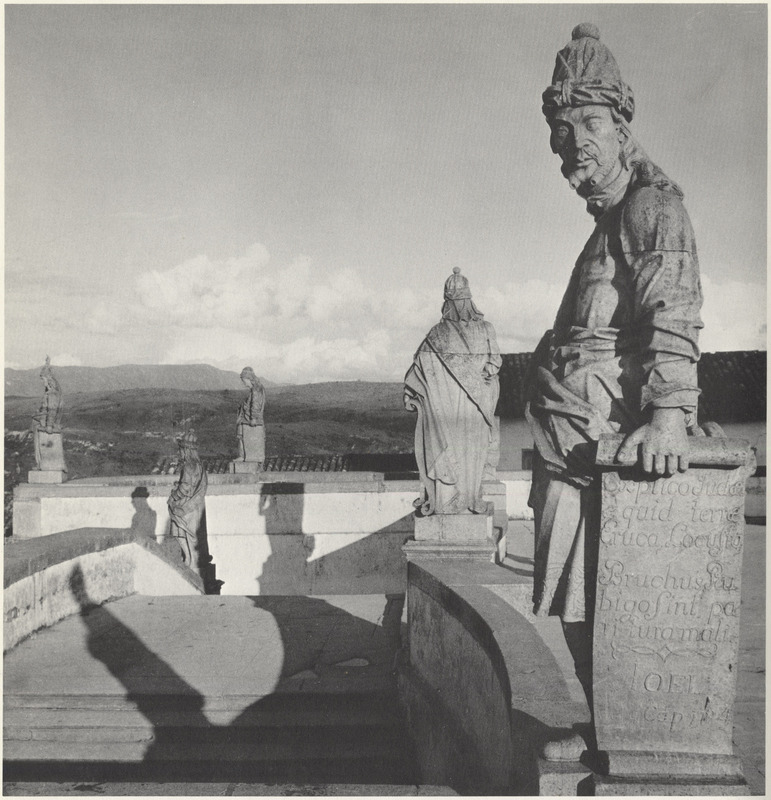 The politics of conquest: Conquerors' accounts and negotiations. Early debates on the nature of the Indian. Translation and the semiotics of conquest. Las Casas, A Short Account of the Destruction of the Indies. Juan Ginés de Sepúlveda, Democrates Alter (sel.). Bernal Díaz del Castillo, The Conquest of New Spain. Bernardino de Sahagún, The War of Conquest. Introduction to Andean cultures and the Inca Empire. The first mestizo accounts. Artwork: Drawings from Felipe Guaman Poma de Ayala, Letter to a King. Sor Juana, poems and “Reply”. Catalina de Erauso, Lieutenant Nun. Film: I, the Worst of All. Artwork: New World Baroque. Casta-paintings. Simón Bolívar's vision for independent America. Civilization and barbarism in Argentina and Chile, ca. 1830. Brazil: from colony to empire. Film: The Buried Mirror IV. Slavery and the international abolitionist movement. Romantic representations of Indians and slaves. Manzano, Autobiography of a Runaway Slave. Gertrudis Gómez de Avellaneda, Sab. The idea of America. The poetics and politics of Modernismo. Conclusion. José Martí, "Our America" and other essays. Euclides da Cunha: Revolt in the Backlands (sel.). Octavio Paz, The Labyrinth of Solitude. Selected poetry by Gabriela Mistral, Alfonsina Storni, Delmira Agustini. Artwork: Representations of women in avant-garde art: Mestizas, mulatas, negras. Alejo Carpentier, The Kingdom of this World. Jorge Luis Borges: Ficciones. Selected essays. Gabriel García Márquez, 100 Years of Solitude. Selected poetry by Heberto Padilla, Nicolas Guillén, Ernesto Che Guevara. Miguel Barnet, Biography of a Runaway Slave. Manuel Puig, The Kiss of the Spider Woman. Achy Obejas, “We came all the Way from Cuba so You Could Dress Like This?”. VII. Migration Cultures (Sessions 24-27) Latino, hispano, and chicano movements. The U.S. Census Bureau. Language Politics in the U.S.
Ana Lydia Vega, “Cloud Cover Caribbean”. Richard Rodriguez, “Hunger of Memory” (sel.). There will be one mid-term and one final examination. Over the course of the semester there are usually 2-3 writing assignments that make a total of 10-12 pages. Please ask your instructor for more information. Since this is not a lecture class, it is vital that students come prepared to discuss the assigned materials. Here is a list of links to websites and databases that are accessible over the Columbia network. We hope that they are useful to students and instructors of Latin American literature and culture alike, whether they are preparing a class, a presentation or a seminar paper. Pamela Graham, research librarian in Latin American Studies at Columbia, has organized materials on Latin America at the university. Her library page provides a portal into Columbia University’s extensive collections and resources.